much has been said over the last three or four years about the monopoly held by the so called “big four” in england. fans and pundits alike have moaned and complained that the gulf in class between the manchester united, chelsea, liverpool and arsenal is becoming too difficult to close because of the financial benefits these clubs have all enjoyed from holding down the champions league places for so long. aston villa nearly pipped arsenal to the last champions league spot for this season, until their late season dip in form saw them drop out of contention. big spending manchester city seem to have bought themselves a very talented side, with the potential to crash the party at the top of the table. manchester united lost to promoted burnley in just the second match of the season! liverpool lost their first opening day fixture in a decade! everyone start panicking! key departures from the top sides (ronaldo, tevez, adebayor, alonso), lack of depth (liverpool, arsenal), lack of experience (arsenal) and aging squads (man utd, chelsea) seem to indicate that there are some chinks in the armor of the top clubs that could allow someone else to sneak into of the prized champions league positions. many saw these things happening and thought to themselves, “why couldn’t city, villa, tottenham or everton crack into those spots?” with a bit of luck, and a bit of spending, it seemed increasingly likely that the stars had aligned and the opportunity to seize a lucrative place in the champions league didn’t seem so out of the question. hell, even the big dogs seemed a little worried. chelsea’s didier drogba seemed to think that there was now a “big seven.” and the unflappable sir alex fergueson even seemed to be wary of a challenge from his crostown rivals. however, after the opening week of premier league fixtures it seems a lot less likely that this is that year. last year’s two biggest threats to breaking in to the top four were aston villa and everton. yet after only one round of fixtures, there seems to be some serious doubts about either one of them having any shot at improving upon last season’s fine performances. everton were comprehensively crushed by the supposed weakest of the big four, losing 6-1 at home arsenal. villa, on the other hand, suffered a shock defeat to an up-and-coming wigan side. the toffees never looked likely to thwart the potent young gunners, who looked very impressive in what looked to be an tricky opening fixture. arsenal hoped to dispel their critics, with many anticipating them to be the member of the big four to fall on the sword this season and surrender their champions league spot. with a healthy fàbregas as the engine of the attack, and growing confidence boosted by a resounding win, wenger’s youngsters might actually be a stronger side than liverpool. david moyes men, however, looked a shadow of last year’s squad. dreadfully short on numbers (just like last year), everton seem to be falling victim to the same problems that many feel will plague liverpool and arsenal this season. joleon lescott looked awful, perhaps due to his disappointment with having his transfer request to man city denied by the club. the defender is training away from the first squad to force his way out, a headache moyes could certainly do without. so with no depth, and a terrible start to the season, the goodison park outfit will need to strengthen their squad and boost their confidence to pose any sort of a threat for a europa league spot– let alone qualify for the champions league. aston villa also managed to lose at home to roberto martinez’s wigan, who looked to be the better side all night long. the newly installed spanish manager has brought the same free-flowing football he produced at swansea last season, and the lattics look to be benefiting from it (please discount their 0-1 loss to wolves tonight). villa on the other hand looked a shell of their former selves. the departure of gareth barry to man city, and more importantly, the retirement of martin laursen have left a lack of depth up the middle for the villans. 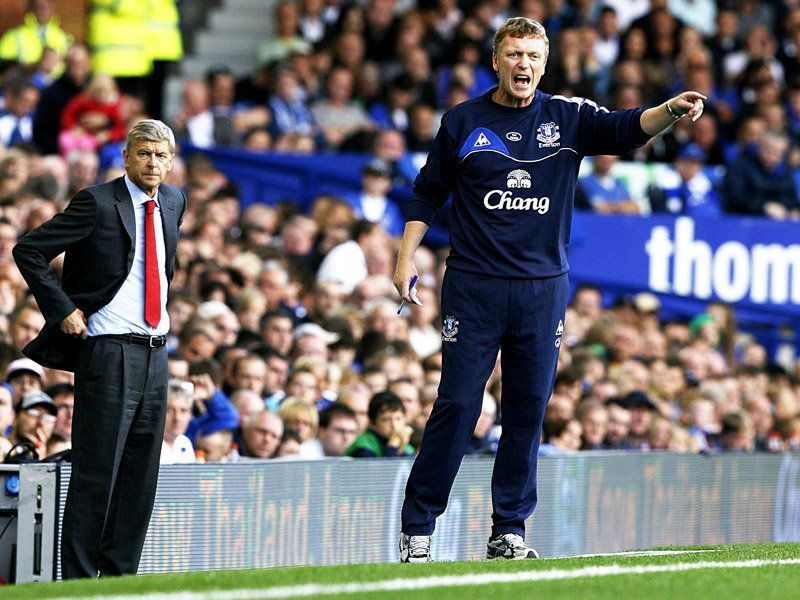 manager david moyes needs to add some quality and fast, especially in the defensive end. rumors of a move for west ham’s matthew upson would be a good start, but he’ll want to move quickly to help the villa park outfit avoid a return to the dreadful form that dropped them out of the top four last season. as for manchester city and their expectations of finishing in the top four this season, i want to withhold judgment for the time being. while they looked dangerous in their opening match against blackburn, with new boy adebayor on target just two minutes in, the opposition wasn’t exactly top class. let’s see how their next few games go before we start calling them world beaters just yet. of all the clubs looking to crack into the upper echelon of clubs, perennial choice tottenham hotspur have put the best foot forward so far. and i’m not just saying because i’m part of the yid army, either. sunday’s excellent result against liverpool was no fluke, although aside from steven gerrard and new signing glen johnson, liverpool admittedly had a down game. spurs, on the other hand, looked great going forward and created a wealth of chances up front. it should have been 3-0 at half time, had former (brief) liverpool striker robbie kean squandered two excellent chances towards the end of the half. and when ‘pool finally equalised, the fact that tottenham immediately responded with another goal is a positive sign. in previous years, responding to opposition goals has plagued the yids. coupled with tonight’s 5-1 demolition of hull city, where the strike force of robbie keane and jermaine defoe contributed four goals, spurs look to have avoided the early season blues that have dragged their high aspirations down the last few seasons. but let’s be honest: the season is still very young. there are still a lot of matches left to play, and who knows how this all will play out. i will definitely say that if there is any way that a new club will clinch a champions league spot, this is the season to do it. however if history is any indicator, we’ll see the same four teams sitting at the top of the table in may. here’s hoping that it at least stays interesting up until the very end for entertainment’s sake, if nothing else.